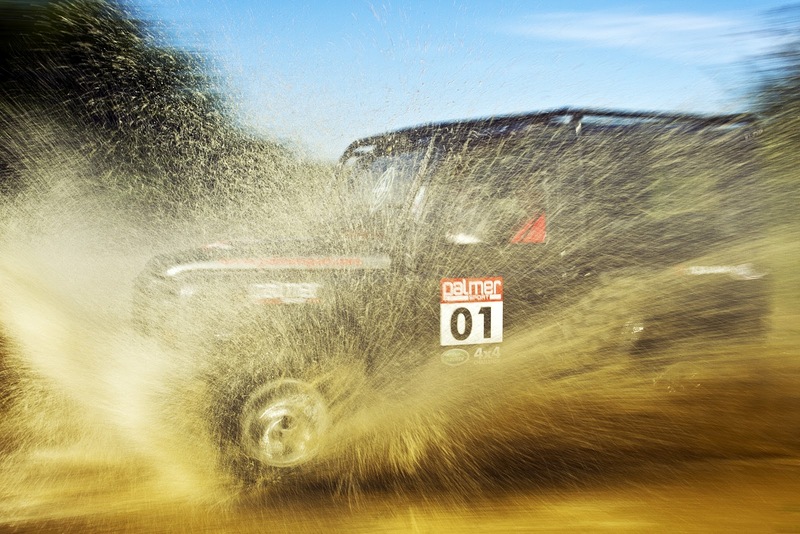 The dust has settled the champagne corks have popped, another great season of motorsport slips into the record books, but before we get stuck in to what looks like a thrilling 2013 season, we wanted to share with you some of our favourite photos, locations, events and thoughts from 2012. The year started in true winter style. -2 degrees, freezing wind, 4 am in the morning, but there was no place I would rather be. 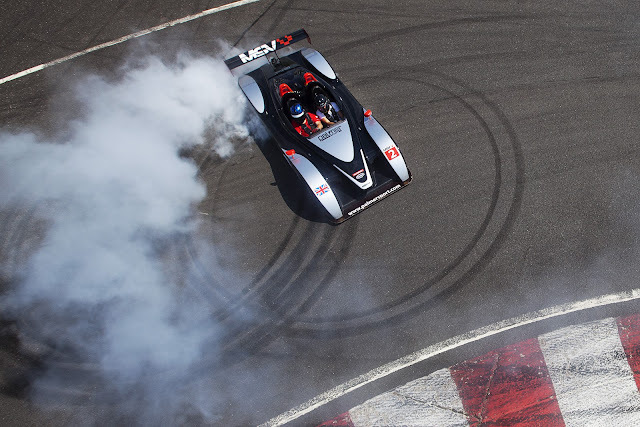 Toyota, and more specifically TMG had returned to top level motorsport and had announced a Le Mans programme. I hadn't covered Le Mans for a few years but following on from our good relationship in their F1 days Toyota appointed us as their team photographers. Months before they started the gruelling race, there lay many thousands of kilometers of testing ahead. 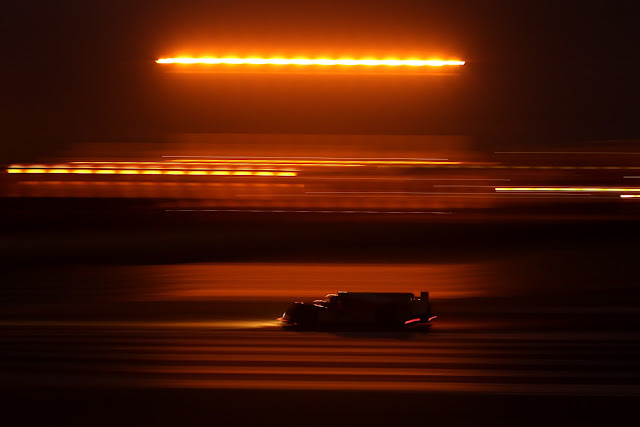 Le Mans testing is fascinating, if you expect your car to last a 24 hour race with no mechanical difficulties then you have to conduct endurance tests. These endurance tests take place behind closed doors and can sometimes run for upwards of 30 hours non-stop. 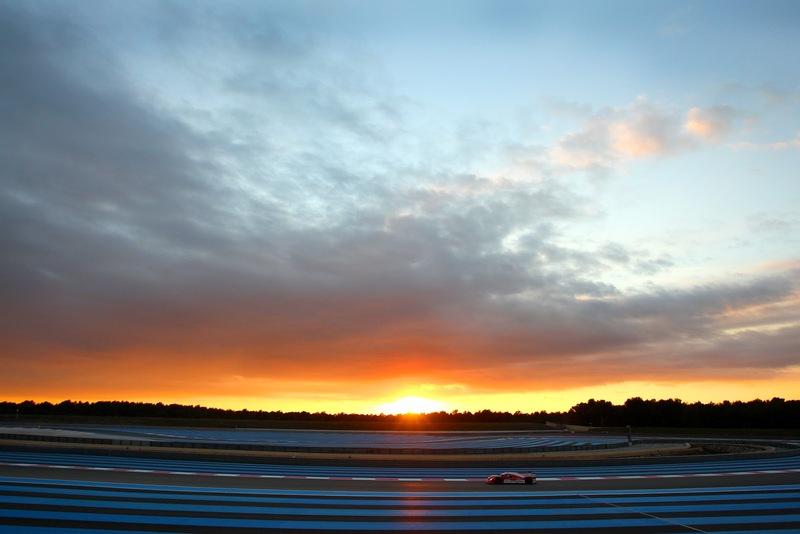 The image above was taken at the Paul Ricard test track in January. It was about 4.30am and I had been trackside for hours. As the sun started to rise over southern France I decided to capture a long exposure. The image combines the trail of headlights as the car flicks around the track as well as a crisp sunrise, all topped off with the crescent shaped moon, really summing up the lonely feeling of enduro-testing. The advantage to me as a photographer with this style of testing is the incredible light that we have to play with. With stunning sun rises and sun sets it really is a motorsport photographers dream. Here are a few more examples, all from Circuit Paul Ricard taken in January and February using the golden winter light to my advantage. 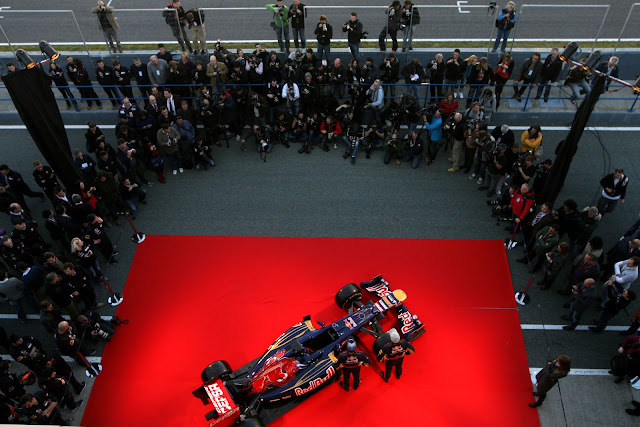 Testing continued into February and it was then the turn of F1 to show off it's new cars. February is a fascinating time for a motorsport photographer, there is the excitement of seeing the new F1 cars for the first time, new liveries and new driver combinations giving you a fresh feeling to every shot you take. 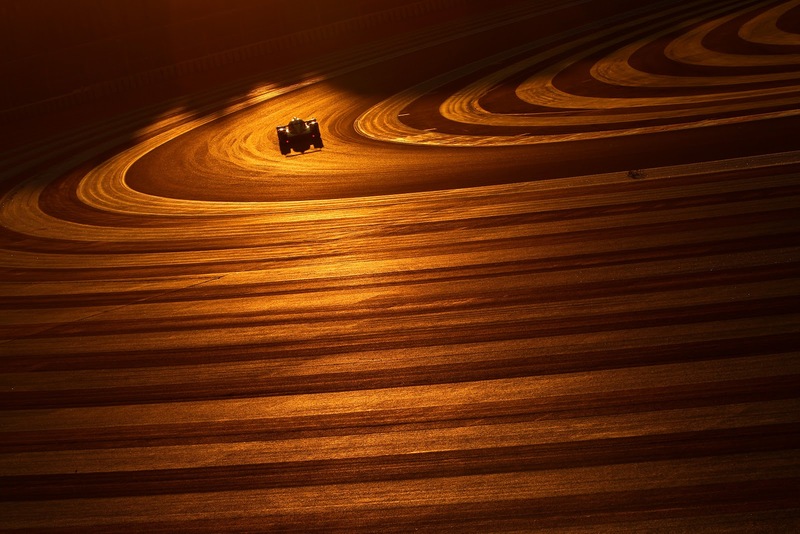 Jerez and Barcelona played host to the official F1 Tests and again from a photographic point of view it is all about playing with the winter light. 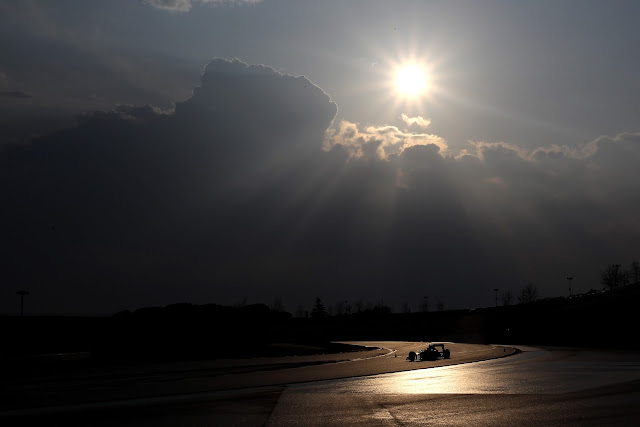 This image was taken at Barcelona circuit, on the final lap of testing as stormy clouds rolled in just as a the sun poked through a break in the gloom. One of those moments where you are begging for another 10 minutes of running, as the light keeps getting better and better. 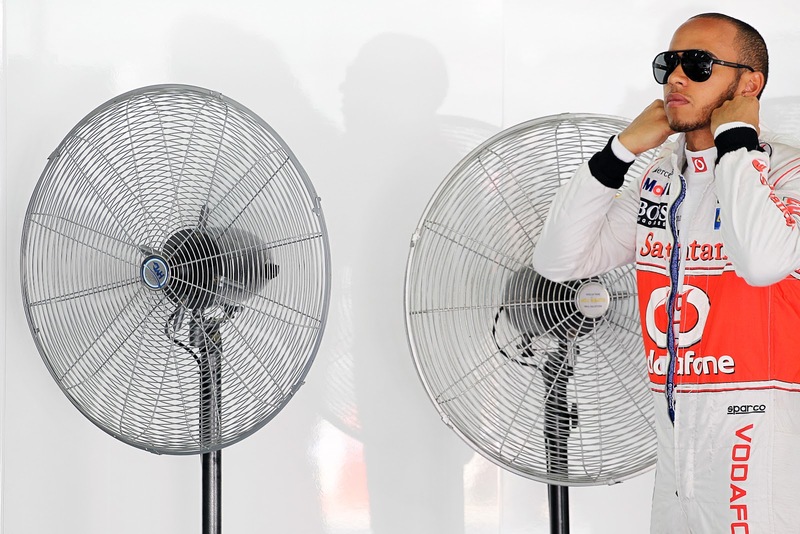 In the (cigarette, telecoms and computing fuelled) days not so long ago F1 teams used to host lavish launch ceremonies to show off their new machines, but in the current climate it is much more common for low-key unveils in the pitlane prior to testing. 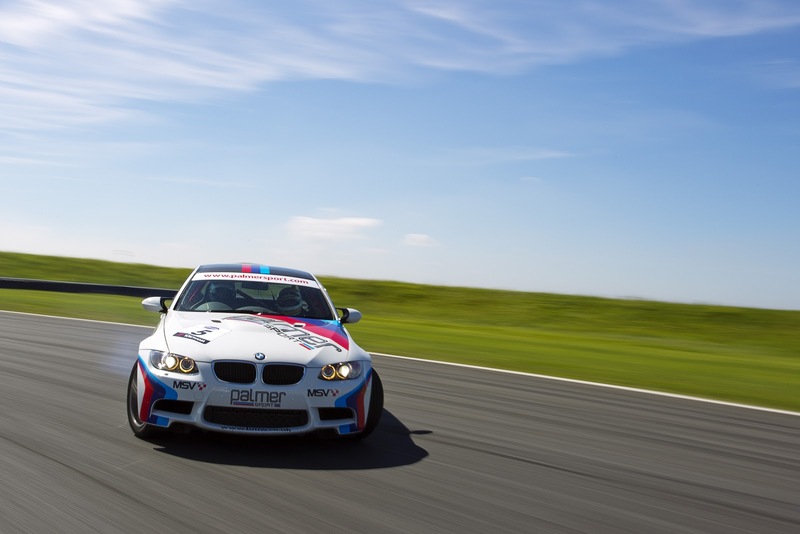 Although this doesn't offer us photographers as much scope for nice photos it does keep the costs down and ensure the real business of getting the car pounding round the track happens without fanfare and too much celebration. 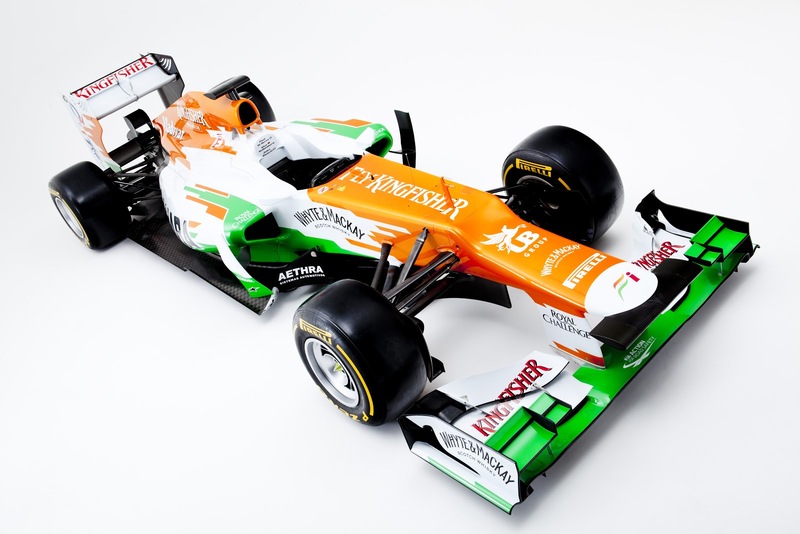 As the official photography agency of the Sahara Force India F1 Team we also have the enviable job of photographing their new car in a photographic studio. 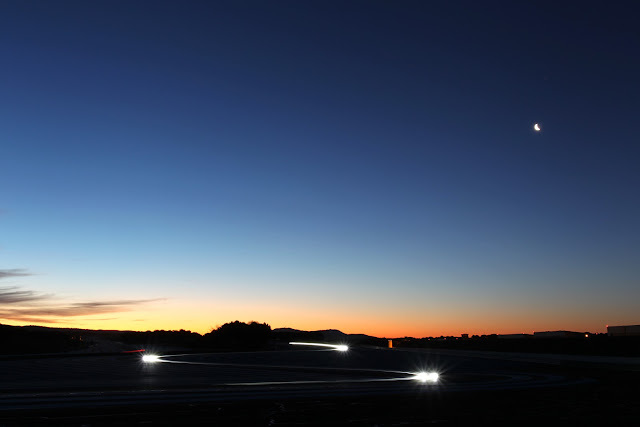 This usually takes place very late at night on the evening before the car is launched. We literally have access to the car once the final parts are bolted to it, which usually means starting to shoot some time after midnight. 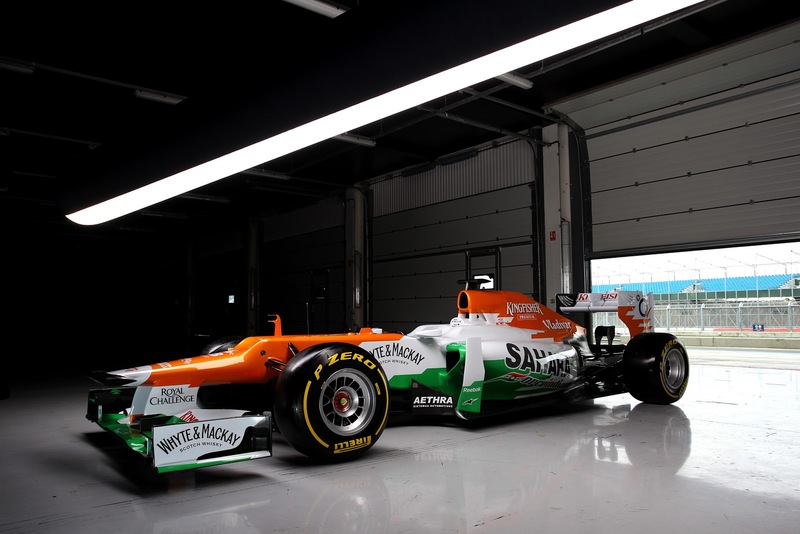 Here you see the VJM05 in a coved studio. We aim to capture up to about 10 different angles of the new car, working through the night, before the car then travels directly to Silverstone Circuit to be launched in front of the media the following morning. It's not just the car that needs photographing. 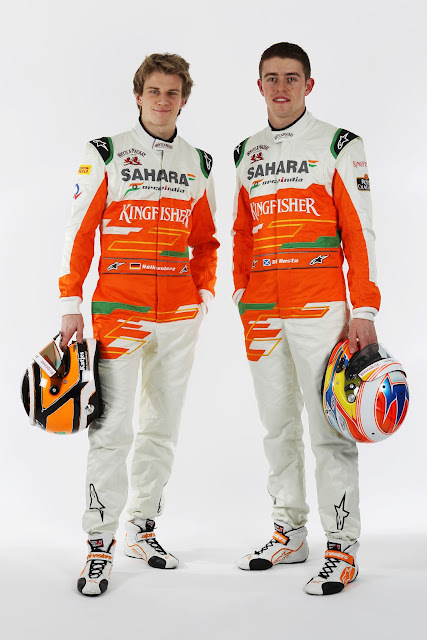 As the drivers have their time in front of the camera too. Here Nico Hulkenberg and Paul Di Resta pose for their official portraits in a makeshift studio set up in the team HQ. The start of the season comes round very quickly after the short off-season and we all head off on our first of many long haul flights of the year. The first race of the year is always an interesting one. No matter what can be read in to testing, neither the media the drivers or the teams really know who has the best chances for the season ahead. From a photography point of view Australia is always an incredibly busy race. There are many PR and media events prior to the season starting. 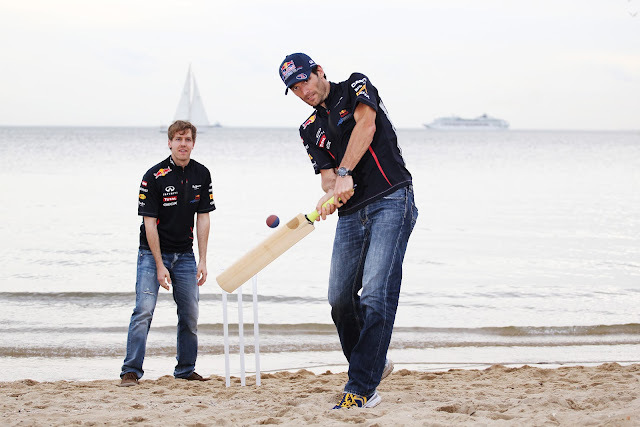 This year Red Bull hosted a photo opportunity with Mark and Seb down at St Kilda beach. What this photo doesn't show you is the 100+ media in a semi-circle cowering and jumping out of the way as Mark whacked cricket balls directly at us! It is actually quite a relief once the track action starts, and we really start to get back in the groove for another season ahead. The Australian GP changed the start time of the race a few years ago and it is now held in the early evening to fit in better with European TV schedules. 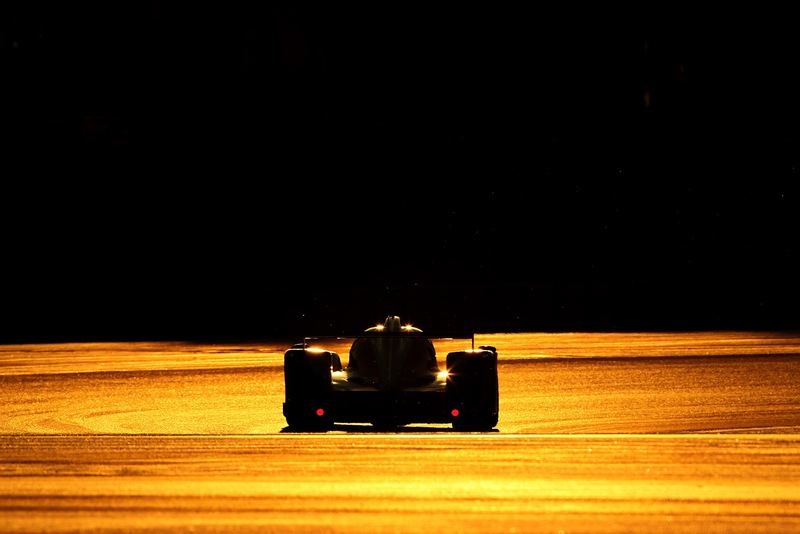 This has made the circuit much more photogenic for us, and also provides some lovely light. And so the first race of the season finishes. 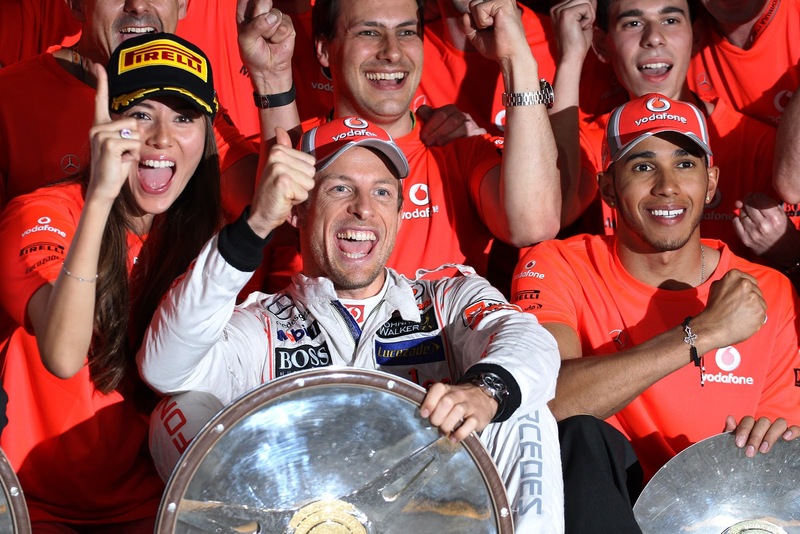 Jenson takes the first victory for 2012. This image was taken around an hour after the finish of the race, and is the first time he gets to celebrate with his team members having completed all of his tv interviews and media commitments. These celebration shots have become fairly traditional now after each win, and this was a good one to start the year with. We generally try and provide our clients with a 'scene-setting' selection of images on the first day of practice at each circuit. 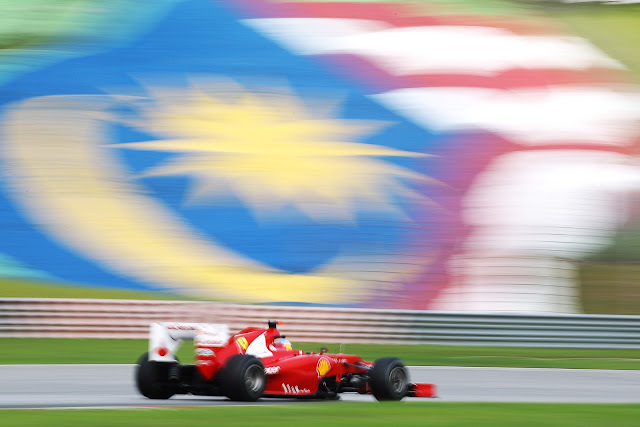 The media require an image that says ' F1 is in Malaysia' for example. This shot is one of those. Fernando in front of a huge Malaysia flag. 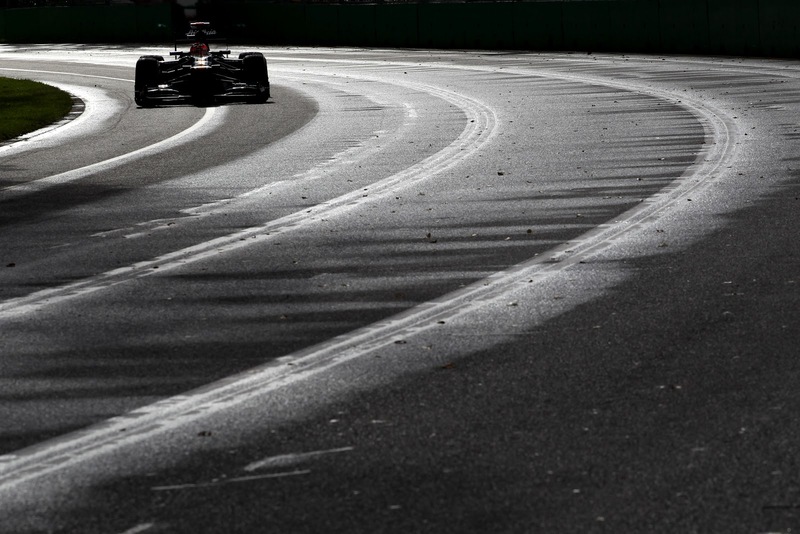 There was an over riding shadow hanging over the early part of the 2012 season and everyone was wondering if we were going to have a race as planned in Bahrain due to the political dramas taking place in the small country. Bernie Ecclestone was the man in demand as the media questioned his desire to go ahead with the race against strong reasons for calling it off. 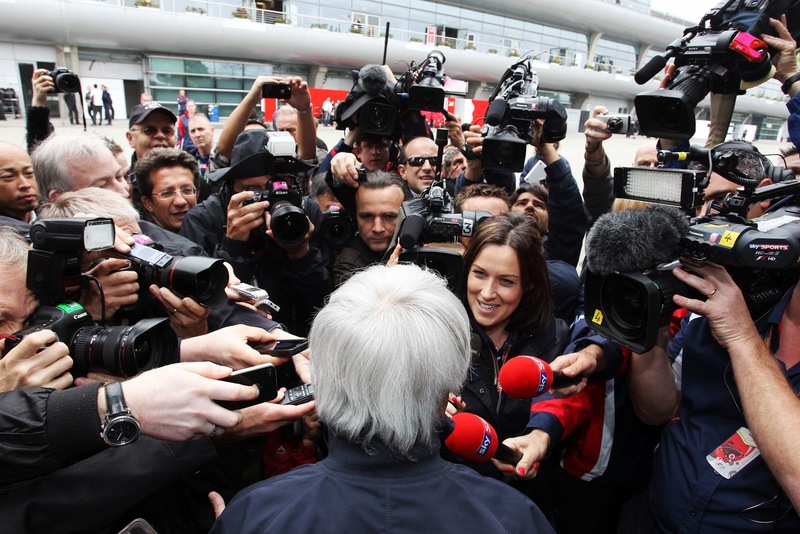 This image gives you an idea as to how the media in F1 work. TV cameras, journalists and photographers try to get a piece of the action. I knew it was going to be a big scrum around Bernie and wanted to show the pressure he was under rather than just a tight portrait of the F1 supremo, so I positioned myself behind the 'little man with big balls' to show a swarm of media thrusting microphones and cameras in his face. Bahrain wasn't the only drama in the first part of the year. Back in Europe Pastor Maldonado took his first F1 victory in dominant style at the Spanish Grand Prix. 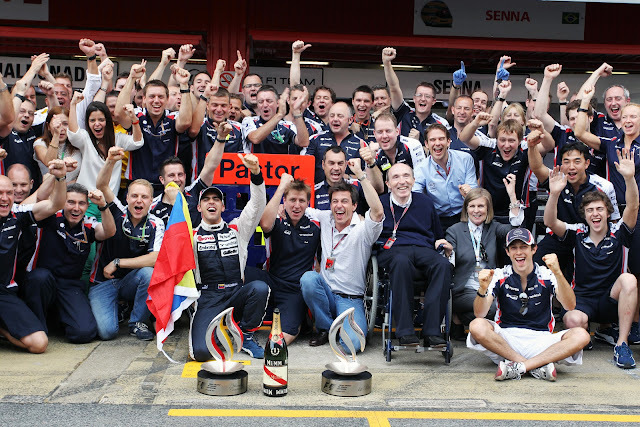 After the race everyone was in a celebratory mood as Pastor posed with his team mates and family. This was the image that we arranged in the pitlane in front of the Williams garage. Moments later the garage behind burst into flames. 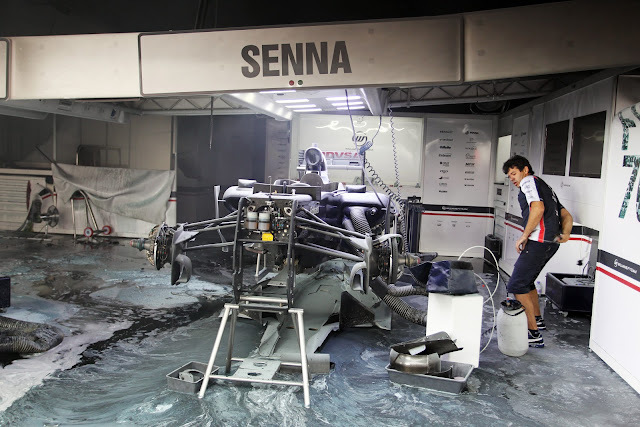 Frank Williams was quickly wheeled away from the fire which had really taken hold of the garage. I ran back into the pitlane and was confronted with thick black smoke and a stream of mechanics running towards the fire with extinguishers. The contrast between the joy in the photo above and the charred remains of the Williams garage in the shot below show just how close F1 was to a major disaster. The quick thinking and actions of brave mechanics and the camaraderie of rival team members assisting, saved many more injuries. 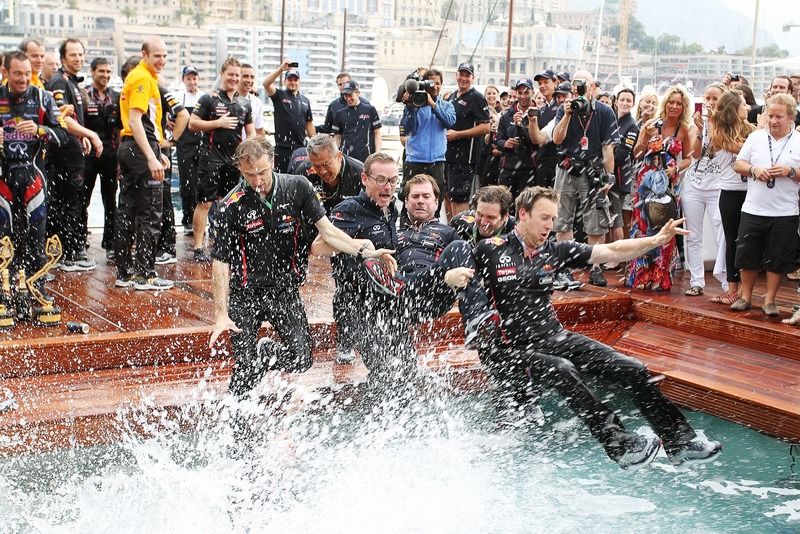 The F1 travelling circus moved on to one of my favourite races of the year, Monaco. It is a cliche but the Principality really is a photographers dream. The access that we get trackside and the proximity to the cars, blended with the noise, glamour and colour just all come together to create a phenomenal race weekend. I will leave the photographic highlights to another separate blog, but show you what happens after the race at the Red Bull floating motorhome. These are the team members from the marketing department jumping into the pool. Mark Webber opened the proceedings after his victory and it doesn't take long before drivers, management, catering girls and all team members end up drenched. It has also been know for photographers to end up in the pool!! Away from F1 we were kept busy with various assignments around the World. 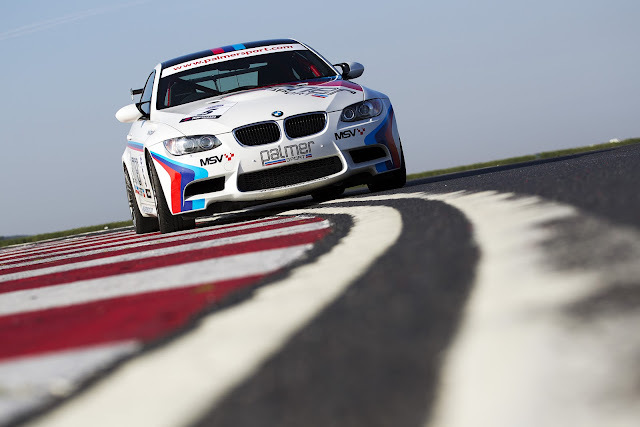 One of the more enjoyable was to provide Palmersport with updated photography for their fantastic driving school at Bedford Autodrome. 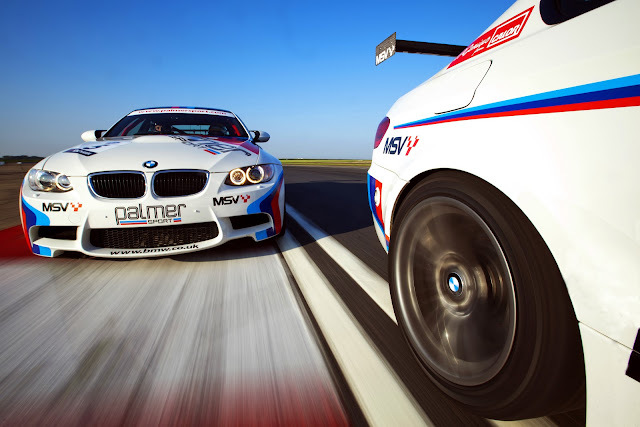 I have worked with MSV and Palmersport for many years now and enjoy the freedom of being given some very valuable cars and provided with some seriously impressive drivers and then being sent out to play at their wonderful facility. 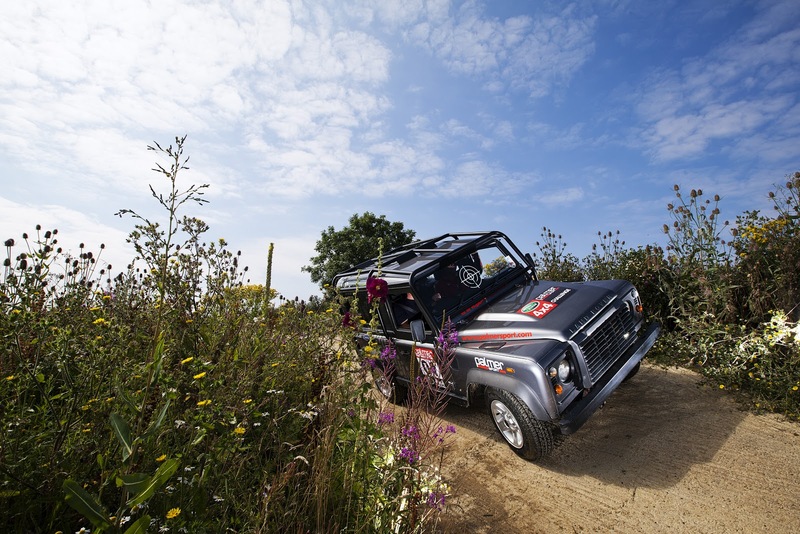 These images below give you a very small example of the spins, slides, jumps and other lairy driving required to capture the images required. Part 2 of our 2012 season review can now be found at the top of this page.